If your kids are anything like mine, they love casseroles. And just about anything kid friendly can be made into a casserole. Case in point: Cheeseburger Casserole. Here is my recipe for a delish and easy dinner. 1-2 pounds of ground beef, chuck, turkey or whatever your preference. I say 1-2 pounds because it all depends on the size of your family’s appetite. Chopped Bacon: I’ve used to microwavable pre-cooked bacon and it’s worked out just fine. There’s no specific amount because it all depends on your love of bacon. You can omit this ingredient if you are so inclined…..but why would you want to? Tater Tots- I use Alexia Potato Puffs because they are YUMMY! but any brand will do. Brown the ground meat. Drain off excess fat. This is really important otherwise your casserole will be runny and watery. Squeeze ketchup & mustard into meat. I have never measured the amounts, I do it based on taste. So this is very subjective. Add garlic powder and salt & pepper. 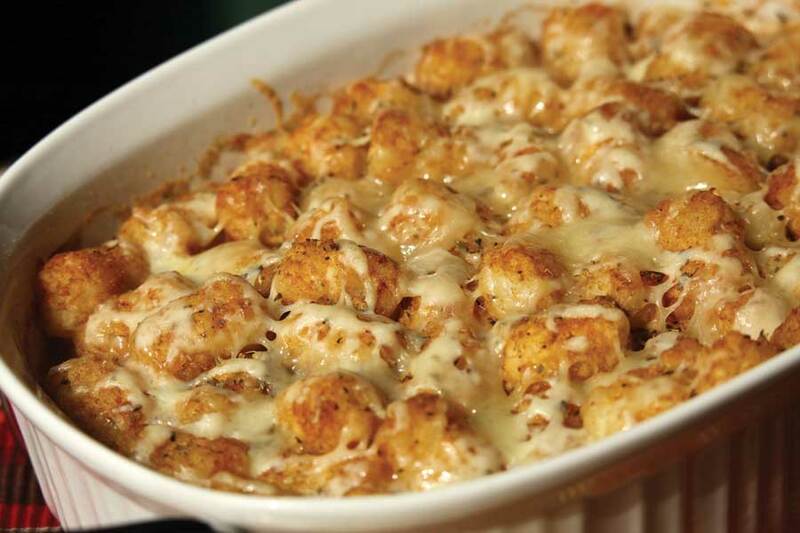 Cover with a layer of tater tots and any remaining cheese. Bake according to instructions on tater tot package. Looks yummy. All of a sudden casserole, or one pot dinners as the new kids call it, are back on the scene. I love them because it feeds a crowd at a reasonable cost. Also it’s minimal clean up and I can be sort of lazy with this. For the ketchup do you do about 1/2cup or more like a few squirts? Let me know how it goes over!